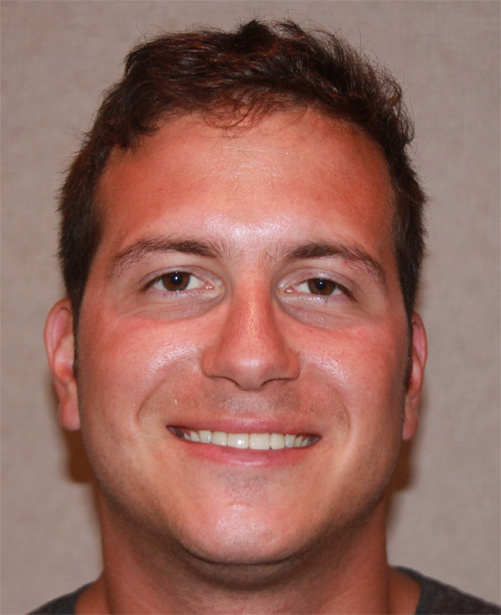 Sninski & Schmitt Family Dentistry offers a variety of cosmetic dentistry services in Holly Springs and Cary, NC. We offer tooth colored fillings, bonding on front teeth, porcelain veneers, and even Lumineers®. With dental offices in both Holly Springs and Cary, we’re ready and equipped to give you a beautiful, healthy smile that you can be proud of. At Sninski & Schmitt Family Dentistry in Holly Springs and Cary, we love solving our clients’ cosmetic dentistry challenges. When clients come to us wishing that their smiles were brighter, straighter, or whiter, we know that we have the cosmetic dental expertise and understanding to give them the smile they’ve always wanted. Look below to see some examples of our Sninski & Schmitt Family Dentistry Cosmetic Dentistry, and get in touch with us if you would like to learn more! 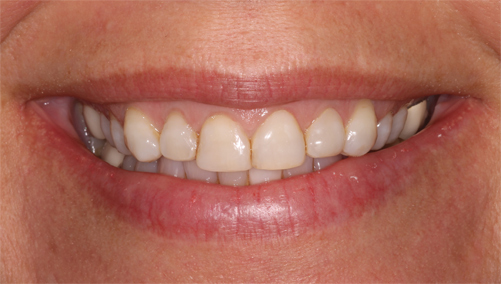 This patient lived for years with a space between her 2 front teeth. She gave us just under 6 months and now she smiles brighter! 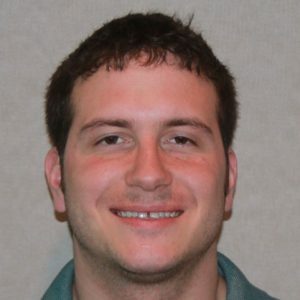 Read more about our Invisalign teeth alignment. 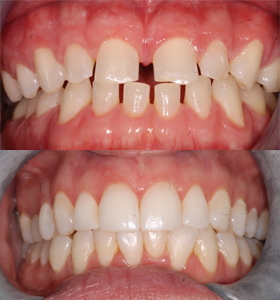 This patient did not like the chipping and wear of her front teeth. 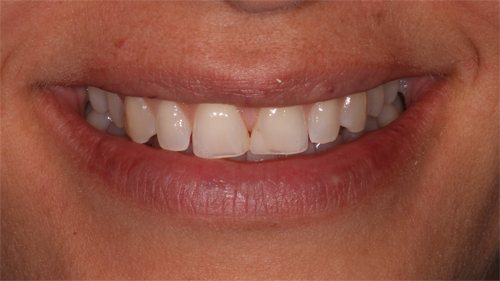 We restored these teeth with SAME DAY in-office veneers! 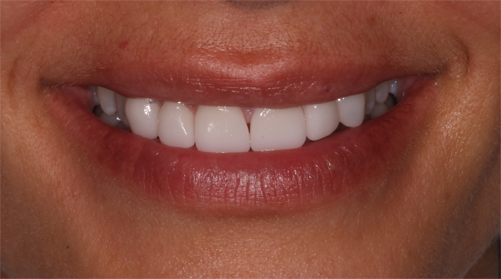 Read more about our Veneers restoration service. 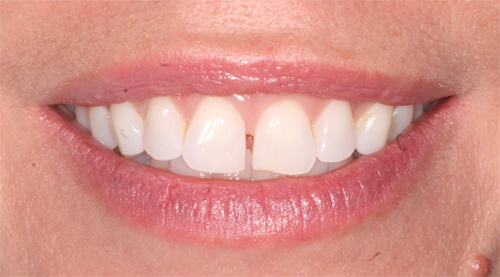 This patient thought her front teeth were too short. She also had old discolored bonding on these teeth. 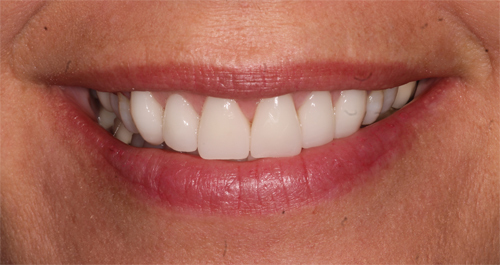 We restored these teeth with SAME DAY in-office veneers! This patient hated to smile. He desperately wanted bigger teeth to close the spaces. 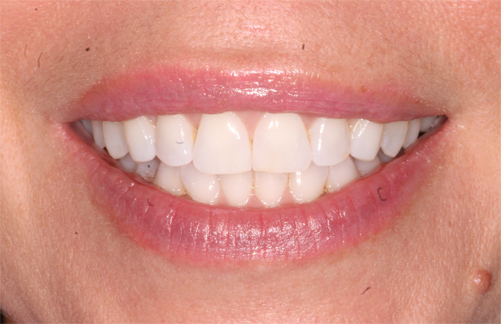 We did Invisalign treatment to put the teeth in proper alignment and then did veneers to make the teeth the proper size. Now he can’t stop smiling! If you are ready to achieve a healthy beautiful smile, we’re here to help with cosmetic dentistry services! Call Sninski & Schmitt Family Dentistry at 919-600-6262 to schedule a consultation at our Holly Springs location or 919-467-2203 to reach our Cary location, or you can use our convenient online form to get started.